Campus Ministry at CCHS helps create an environment which encourages and guides all members to contribute to our Catholic identity and the formation of a faith community which responds to the spiritual life of the students, teachers, staff and parents. Together with the administration, Director of Catholic Identity, faculty, staff, students and parishes, campus ministry brings to life a campus rich in the school’s charism first established by the Holy Cross Brothers who established the oldest Catholic High School in the Diocese in 1887 before they went on to help form the University of Notre Dame. 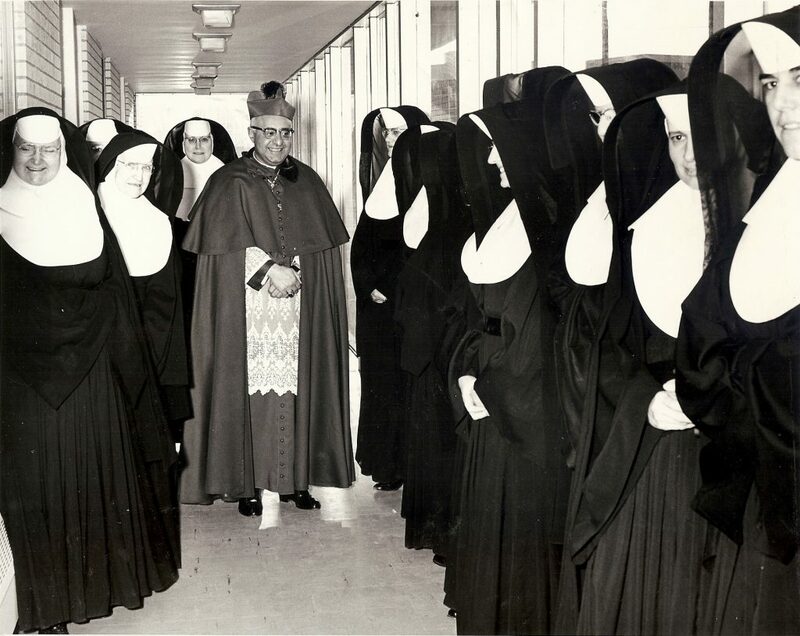 The spirit and charism of the Sisters of Mercy who staffed the school from its earliest days and for several following generations continues to inform and guide our efforts as well. Campus Ministry exists to help in the spiritual growth, prayer & worship, discipleship, sacramental life, social justice and preparation of leaders in service for the Church and society.